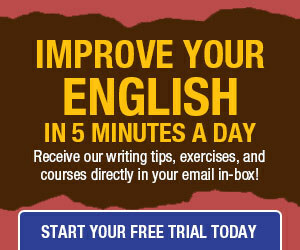 Reduce the Use of "Of"
How long can you go on writing without using of? You’ll quickly find that it’s an invaluable word, but writers often take it for granted, and its repeated use is a sure sign of prolixity. One’s goal, however, should be to reduce, not eliminate, use of of: After you’ve written a document, search for of, and if you find that you have used it more than once in a sentence or several times in a paragraph, consider revising one or more phrases in which it appears. Note, however, that of is sometimes mistakenly omitted: “He took a couple days off” is acceptable in casual writing, but “He took a couple of days off” is correct, and regardless should always be followed by of, as in “I’m supporting her regardless of whether she’s right or wrong” (though “regardless of” is redundant to whether and might better be eliminated from the sentence). 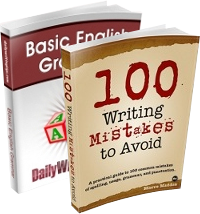 This post lists some wordy prepositional phrases that can be easily replaced by single words or shorter phrases, and this one suggests strategies for achieving more concise writing by avoiding prepositional phrases altogether. Thank you for introducing me to ‘prolixity’. But since I understand the word to mean ‘of tedious length’, it seems unfair that such a short word as ‘of’ should be accused of it. One gremlin in your fourth paragraph: ‘One’s goal, however, should not be to reduce, not eliminate, use of of’. I think you meant, “should be to reduce, not eliminate”. Let’s not forget the constant, incredibly annoying and very incorrect usage of ‘off of’ …. Thanks for your note, and for pointing out the extraneous word. I am not accusing of of proxility. My reference is to the frequent presence of of in verbose phrases. “Oz’s Wizard”, “La Manchan Man”, Arthur’s Morte, Gilgamesh’s Epic, Arckean Joan– you’re right! You hardly notice of it not being there. Cathy, speak for yourself and your archaic language. The phrase “off of” is perfectly reasonable and acceptable in American and Canadian English. You should also note that we have your outnumbered many times over. We eliminated the dative case in English over 400 years ago, so we use preposional phrases with “of” instead. Also, in English inanimate objects do not have a genitive case. D.A.W. : The Chicago Manual of Style and I would beg to differ regarding the genitive case and inanimate objects. CMOS specifically gives three examples across different functions that are on point: “the company’s representative” (an expression of “agency”); “a summer’s day” (an example of the “description” function); and “one hour’s delay” (“an idiomatic shorthand form of an of-phrase”). Those who would confine it to a strictly “posessive” role seem to unnecessarily surrender the far broader ((and highly useful) functions of the genitive case.